Bedford-Stuyvesant today is a mix of historic brownstones, new condos, and a wide mix of residents. In rapper Biggie Smalls' old Brooklyn neighborhood, the building that once housed a coin laundry is now a plastic surgeon's office. A block away, a wine bar sells "artisanal" cheeses and meats. Much has changed where the late superstar spent all but a few years of his life and sometimes sold crack cocaine before spinning vivid tales of his street exploits into millions of record sales. It's completely different,'' said Voletta Wallace, Smalls mother, who moved into the area in 1969 and left after her son was killed, at age 24, in a 1997 drive-by shooting in Los Angeles. "It's a place for the better," she said. Wallace is a producer of "Notorious," the Smalls movie biography that hit theaters on Friday, and was on the set during filming in the area. changes, which have occasionally sparked tension. "Much has changed but much remains the same," said City Councilwoman Letitia James, whose district includes the neighborhood. and existed during Biggie's time is still on Fulton Street, and we're trying to address that." "But we've come a very long way," James added. She emphasized the neighborhood's racial and class diversity. There's less graffiti and more white, Asian, Latino and professional residents as well as blue-collar workers, artists, and students. On Fulton, the major commercial artery where the crack trade flourished in the 1980s and '90s, and where Smalls sometimes wowed sidewalk crowds with freestyles by making up rhymes on the spot, there's now a mosque and a "coffee lounge'' that offers organic hot chocolate, chai latte and macchiato. The video-game arcade is now a traditional West African food restaurant. Smalls, who also used the stage name The Notorious B.I.G. but who was born Christopher Wallace, lived with his mother in a seven-room apartment at 226 Fulton St.
Voletta Wallace, a Jamaican immigrant, taught preschool by day while earning her masters and attending Jehovah's Witness services in the evenings. Young Chris had a talent for visual art and attended Catholic school and public high school but dropped out after being lured away by the crack trade's fast money and accouterments. "My son wasn't the pauperized kid he made himself out to be," his mother told writer Cheo Hodari Coker, who co-wrote the screenplay for "Notorious." Although B.I.G. claimed the Bedford-Stuyvesant area as home ("Live from Bedford-Stuyvesant, the livest one representing BK to the fullest"), his old building has been part of the Clinton Hill Historic District, west of Bed-Stuy, since 1981. In the late 19th century, the neighborhood of mansions,Victorian row houses and brownstones was home to some of the city's wealthiest white residents, including the Underwoods (as in typewriters), the Pfizers and Bristols (FDA-approved drugs), and Charles Pratt (oil). "The Pfizers of Clinton Hill gave way to street pharmacists selling heroin and cocaine on the corner," Coker wrote in the 2004 book "Unbelievable: The Life, Death, and Afterlife of The Notorious B.I.G." Blacks from Harlem, the South and the Caribbean began moving into the neighborhood in earnest in the 20th century. 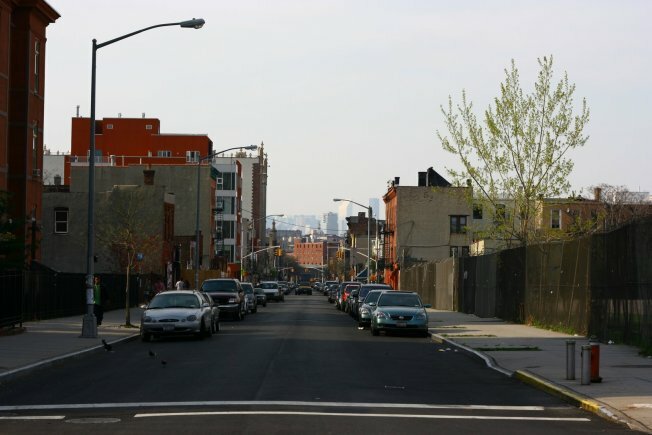 By the 1970s and '80s mostly black neighborhoods like Clinton Hill, which contained solid black middle and working classes, were lumped in with the grittier Bed-Stuy. Apartments in B.I.G. 's old building have been converted to condominiums, and brownstones in the neighborhood have sold for as much as $3 million. Studio apartments are advertised for $1,250 a month while one-bedrooms rent for as much as $1,700. Current residents include actor Jeffrey Wright and his wife, actress Carmen Ejogo; actor Malik Yoba; actress Rosie Perez; rapper-actor Mos Def; and rapper Talib Kweli. Some older residents, most of them black, complain about the higher rents and about how newer residents (usually white) try to change things in an "insulting" and "disrespectful" manner. Some newer residents gripe about "noise'' coming from black churches, and about young black men rehearsing their rap music in parks, talking to each other on stoops and sitting in playgrounds,maybe reading a book or magazine, without children. "What we've attempted to do is bridge the gap, the divide," James said.